Taylor Made is known for having the largest selection of marine aftermarket products in the industry. 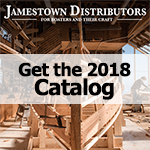 The selection includes buoys, fenders, boat covers, bimini tops, flags, pennants, electric winches, hardware and more. Non-marine products include outdoor furniture and tarps/storage covers. Taylor Made Products include the well known and acclaimed Bimi-Tee Tops. The Taylor Made Group has a reputation for quality among both OEMs and consumers. The Taylor Made Group traces its beginnings to 1908 and the custom canvas trade. Today, the diversified businesses that make up the Taylor Made Group share an unwavering commitment to founder Nelson A. Taylor's business values: Superior craftsmanship, constant innovation and customer support far beyond the ordinary. The Taylor Made Group is a leader in the marine market, as the number one supplier of aftermarket products, windshield systems, air conditioning and refrigeration systems. From stem to stern, products of the Taylor Made Group help OEMs build better boats and better boating. Taylor Made has many options for protecting your boat and dock. With options ranging from profile, to color, materials and accessories, Taylor Made is sure to have the specific product necessary for ultimate protection. Thick, pliable, abrasion-resistant rubber strips can be nailed along the edges of docks and pilings. The premium rubber material will not mar boat, but is great for absorbing shock and protecting hull. Taylor Made also makes corner guards made out of the same rubber material. When combined with Taylor Made Dock Strips boat the result is complete protection. Place Taylor Made Dock Cushions on posts, dock-edges and corners for versatile, durable docking protection. The Dock Pro heacy-duty vinyl bumpers are ideal for rough marine conditions due to their U.V. resistant, marine grade vinyl. Mount the straight piece horizontally, or the curved back vertically on pilings. The corner piece provides impact protection for all corners of the dock. Both bumpers include inflation valves that are easily to adjust for firmness. These bumpers will provide the ideal protection for larger applications such as work boats, launches, and the top edges of the dock. Super Edge Bumpers are even more durable than Perimeter Dock Bumpers and are designed for heavy duty applications. Taylor Made Lifeline Cushions Inner cushion provides a comfortable, yet sturdy backrest. Simply thread your lifeline through the center of these polyester-covered foam cushions. Blue lifeline cushions use a Sunbrella cover which will match your sail covers. Make your lifelines a better backrest. Polyester covered, not bare foam. Will not discolor, fade or rot in the sun, and clean easily with liquid soap. Complete with polyester line to lace securely in place. Sizes to fit all turnbuckles. Sold in pairs. Protect yourself and your sails from exposed cotter pins! More attractive, softer and easier to clean than plastic covers. Polyester textile will not discolor or deteriorate in the sun. Complete with polyester line to lace securely in place. These fiberglass dock boxes are built tough. With a UV gelcoat finish and the stainless steel lockable latch and hardware these are sure to hold up in the harshest marine environments. Our dock boxes incorporate gas shock absorber lifts, which come standard on all models. These shocks help to keep your lid open on rocking docks and in higher wind areas and allows for a slower, more controlled closing. These fiberglass molded dock boxes are also constructed with a smooth interior finish which helps prevent splinters in your hands when storing or retrieving your boating accessories. The Bimi-Tee Top Team is located in Tampa, Florida, Their group of professionals are passionate about sports fishing and dedicated to designing products that help fisherman worldwide. The 23SE with the Bimi-Tee Top is perfect for the bay and nearshore fishing. Just detach the T-Top for tarpon fishing under the bridges and for storage at the house. The 23DV is used for offshore trips of 20 or more miles. The width is the measurement from the mounting point of the top (where top attaches) on one side of the boat, to the same location on the opposite side of the boat. This is not the same as "Beam width" or boat width. Widths of the Bimini BoaTops are specified in increments of approximately 6"; since the aluminum frame has a degree of flexibility, it can safely be mounted over widths that vary slightly. Choose the width that most closely matches to your mounting point measurement. The combination of height and length determine how much shade the Bimini BoaTop will provide. Depending on how the boat is used determines the length the Bimini top should be set. For example, for shade use the longest Bimini available in a medium height. While fishing use the smaller, taller Bimini so that it provides shade, but also the ability to walk and maneuver under the top. The combination of height and length determine how much shade your Bimini BoaTop will provide.The listed height of a bimini top is the maximum standing height under the frame from the mounting location. ie: if the top is to be mounted on the gunwale, the frame height will be the distance from the boat floor to the top of the gunwale PLUS the specified height of the bimini.